RODENBACH the 'Flemish red-brown beer, " Traditionally recognized as Regional product . The mixed primary fermentation and maturation in oak barrels ( casks ) give it a mild sour taste and complex fruitiness just like wine. 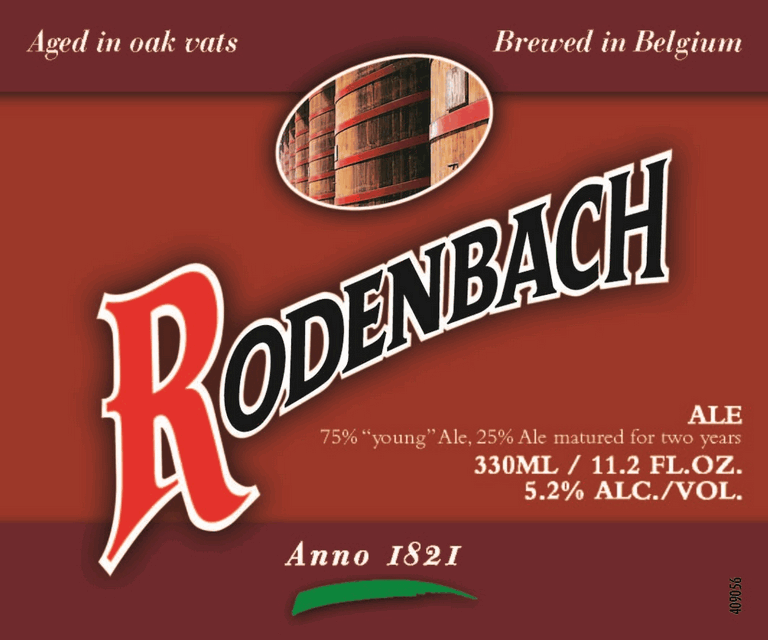 RODENBACH consists of 3/4 young and 1/4 for 2 years in oak matured beer . RODENBACH is very refreshing and appetizing : the perfect aperitif !